When people go looking for the best tough watch their money can buy, they often look at the Swiss for products. 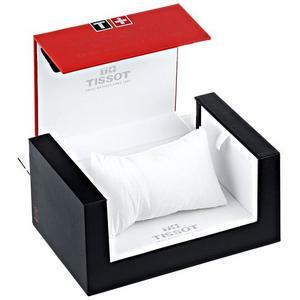 This is the case with people who are fans of the Swiss watchmakers Tissot. Founded in 1853, Tissot has been churning out quality, reliable products for well over a century, and one of their newest releases is the Tissot T Touch Expert. Though how, exactly, does the Tissot T Touch stack up as a high-quality watch? One of the first things to notice about this watch is that it is incredibly attractive. More than keeping time or finding the best tough watch available, nobody wants to wear an ugly watch. That’s just out of the question, and it’s why you don’t see anyone wearing weird wrist pieces. Tissot T Touch in particular has a very classic look and feel to it. It is a simple stainless steel watch, but the black face behind that quality quartz really makes it pop. It looks rather on the ultra-expensive side, ala Rolex or Patek Philippe. However, it’s not exactly in that class. It’s a very refined-looking watch that uses stainless throughout its construction. Not only are the band and body stainless, but the hands of the watch face are also stainless. The use of stainless throughout the entire construction also gives the watch a lot of heft; i.e. it feels like a quality piece of machinery in your hand. 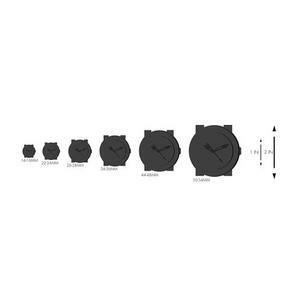 It’s also a hybrid watch, meaning it blends the classical movements with the modernity of LCD function. By pressing the “T” owners can access various functions of the watch, such as a timer and alarm, compass, and calibration features. Wearing the watch is also quite comfortable. With many stainless bands, they tend to catch arm hair and sometimes even skin in the link gaps. The Tissot T Touch is designed much tighter, meaning there isn’t any open space between bracelet links. This might not be an important feature for a lot of people, but for anyone who’s ever been pinched by a cheap watch, a high-quality bracelet is a must. Of course, all watches have their pros and cons. Even a watch that someone might consider the best of all time still has negatives to speak about. That’s just the way things are. So, with the Tissot T Touch Expert, there are some things that are good about the watch, and some that aren’t so good. As previously mentioned, a really solid note boding well for the Tissot T Touch is its classic appeal and overall attractiveness. It’s really a gorgeous piece, with the black face and steel inlays playing very well with the stainless body and bracelet. When the metal and quartz catch the light, the watch shines and glistens like a million-dollar high-roller piece, which is really cool. Another relatively strong aspect of the Tissot T Touch is in its hybrid construction. Watch aficionados might truly prefer pure classics, but there’s something about a quality timepiece that also offers modern functionality that’s refreshing. Tissot didn’t take itself too seriously by attempting to recreate a pure early 1900s watch; they let their hair down and actually added more features for users to appreciate via their LCD screen and its multi-function capabilities. Where the watch really begins to go downhill is with the learning curve required to use it properly. It comes with a thick instruction manual for a watch, and you have to press the “T” in certain intervals in order to get the hang of the functions. This can be really annoying when trying to use the timer or calendar features. A small complaint would also be the color of the LCD screen. It kind of clashes with the glossy black face, when perhaps having white or yellow LCD lights would have been a better choice. 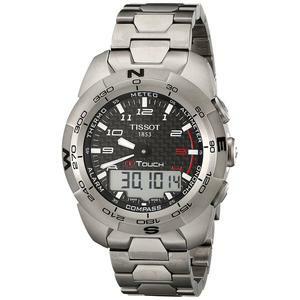 The above review was simply an overview of the Tissot T Touch Expert. Everyone must make their own decision when searching for the best analog watch for their money. The goal was to lay out the high and lowlights of the product, to better help you make an informed decision.